And there’s much more in this episode to tickle your ears. Click the play button below, or scroll down for a full transcript. Kira: You’re invited to join the Club for Episode 31 as we chat with copywriter SEO expert and misfit entrepreneur, Kate Tune about creating three successful businesses without a plan, SEO copywriting, running a podcast and writing conference and how to rock a hula hoop. Rob: Hey Kira, hey Kate. Kira: Hey Rob, hey Kate, thanks for being here. Kate: Thank you for that lovely intro. Rob: We try to change it up with every guest and you’ve called yourself the misfit entrepreneur so we thought, yeah it was appropriate. Kate: Thanks, yeah. And you managed to drop the hula hooping in, as well which is awesome. Kira: Well Kate, I think a great place to start is with how you became an SEO copywriter consultant and then we can talk about your job as a chatline operator later. Kate: Yeah, so I probably went a fairly traditional route. I’m not sure everybody’s route to copywriting is so different, isn’t it? So, I went to university and did an utterly pointless degree in history, Roman history or something like, can’t remember. And then I left and I desperately wanted to be a magazine journalist but I had racked up so much debt at university that I had to get a real job as a, pretty much a secretary. Then I worked in various jobs, in events, in publishing and eventually got hired by this weird agency that was building something called websites, way back. I’m showing my age, now. I worked there for a few years and then I moved over to Australia and managed to get a job at Ogilvy, which is a big advertising agency in America and also it’s over here in Australia, as well. From there I transitioned into being a copywriter and worked on lots of big brands, global brands and kind of hated it, kind of didn’t like the agency life and as I got older, it got harder. Then eventually I got with child and could no longer be an agency copywriter because you have to work like 70 hours a day. So I gave it all up and became a freelance copywriter. Whoo hoo! That was a potted history. Rob: Let’s unpack that jus a little bit. We talk quite a bit with copywriters who are doing freelance stuff but we haven’t talked to a whole lot of agency copywriters. Tell us about working in an agency and maybe even, what it takes for a copywriter to get a job at an agency. Kate: Look, I think it’s, I don’t think it’s easy. I think my route was very indirect. When I first started out, that was, you know, I was like, “Wow, I’d like to work for an advertising agency.” And I did get a job in an agency in London. Again, as a receptionist. So I had to go in as kind of like a non-creative person. But if you’ve seen Mad Men, not everybody gets to move from reception to being a copywriter. Kate: Only the best. I was literally that character, I’ve forgotten her name now. But, so and then I left and then with Ogilvy, I just was in the right place at the right time. Australia was a little bit behind the eight ball with digital and advertising and my little experience counted a lot so I kind of got in at the ground level but again, as a producer, so I was actually managing projects. And then after a couple of years, I actually took about a 60% pay cut to be a copywriter. Because that’s what I really wanted to do. So I lopped, they took 60% off my salary. Nice. And I started as a junior copywriter and kind of started working up. If you [were 00:04:14] straight out of college, I mean, gosh it’s hard. It’s super competitive. In Australia, there are a few kind of awards and schools that you can go through to get in. I think there’s a huge amount of nepotism, you know who you know. Ii don’t know. I actually wouldn’t be able to give anybody any tips because the problem is, all your creative ideas, everyone else has got those creative ideas because they’re all creative people. So, you know, maybe a sideways route would be my suggestion. Get in there, get into the agency whatever way you can and then show your skills because obviously there’s lots of opportunities to kind of shine, if you take them. Kira: What did you learn from the agency life at such a well known agency, especially in your different roles as a producer and then a copywriter? What did you learn that really helped give you an edge in your freelance business? Kate: Lots of things. I think as a producer, I learned how to project manage, which is a huge part of copywriting, really underestimated. Being able to work out time lines, work out budgets, manage multiple projects, keep projects moving so there’s no dead time. So you can manage multiple projects and keep them all working for you, which is super important if you’re a copywriter and you want to earn a decent living. You know, you need to be able to have lots of jobs on the go. I learned to deal with lots of egos, lots of people in agencies have enormous egos and so it teaches you a lot of diplomacy, which I think is very useful when dealing with clients. And then as a copywriter, I think you know, I used to write an awful lot of ad campaigns and tag lines and one liners for animated gifts. Remember animated gifts were all the rage back then. And coming up with really simple metaphors for describing things. And patterns and systems and methodologies so that you’re never really starting with a blank page. It’s all about starting with some kind of template or structure and filling in the blanks and what you end up with isn’t perfect, but it gives you something to start working with. I think a lot of people might think that agency copywriters sit around on bean bags having epiphanies. They don’t. They’re just like you. They work with formulas, they look at old ads, they look at old campaigns. They do brainstorm, which is, I think something that we poor, lonely freelancers don’t get to do. But a lot of it is quite formulaic, you know? Kira: Well, I was just going to ask you, what type of methodologies they typically use at ad agencies because I love that idea of you’re never really starting with a blank page. Do you recall any of the processes or any tips that could help the lonely freelancer who does not have a team to brainstorm with? Kate: Yes, I mean the process would usually be, you know go and take your briefing with the dreaded account managers and the clients and then you’d go away and there’d always be a period of like, sort of self reflection where you’d sit at your own desk and try and pull something out of your bottom, which was usually not particularly fruitful. The next thing would be that you’re often partnered with a designer or an art director. So it was always a copywriter/art director because a lot of what we were doing was adverts and ads. But also even long copy, you know, can be influenced by design. But also just another creative mind. So then you would sit and you would just kind of say stupid things to each other. Like come up with ideas, like what about we use a pig? Or what about we have a hedgehog? Well, I don’t like hedgehogs. Well, and no idea was a bad idea, you just write everything down. But then in terms of cheats, as it were, I’m just remembering my own creative director would say, “There’s lots of easy ways to do ads, you know. Think of metaphors, like road sign metaphors.” And you see this done to death, like “Stop” stop sign. Or “Give Way”. Using this in your ad copy or just thinking of an overarching concept and a metaphor. So, you’re writing about, I don’t know, dentistry. But you’re going to do the whole thing relating to ice cream. This is a terrible analogy. I should have prepped a better one. So you’re going to talk about, you’re just going to use one overarching concept or idea for the whole thing and that will give you your concept. So here’s a better example, a copywriter I’m working with is coming up with a new way of branding herself. And she’s going to use a kind of makeover metaphor, like a plastic surgery metaphor. So she’s, you know, slicing and dicing copy. Once you have that metaphor, you can just brainstorm a huge swipe file of words that relate to makeovers, nouns, adjectives and then you can start working through video copy. Not to the point where it becomes overdone and cheesy, but gives you a frame of reference. Rob: So Kate, let’s fast forward to you’re a freelancer now. What is different about how you work today, or as a freelance writer, because I know you’ve got some other businesses as well. But as a freelance writer, what do you do differently that you weren’t doing in the agency? How has your job changed? Kate: Well, it’s just a whole lot harder. I mean, at the agency you turn up and you sit there and all you do is write copy. And that can be challenging because obviously some days there are no ideas but you are expected to pump them out. But as a freelance copywriter, you’re really a business person, so it’s all the other things. It’s managing your finances, and doing your tax return and marketing yourself and dealing with customers and doing project timelines and project management. All those things are your responsibility as well. So having to sell your services as well as do your job, I think is the biggest difference. Rob: And at what point did you decide that writing wasn’t enough, that you wanted to add things like courses and copy school and SEO? All of the various businesses that you’ve built since. Kate: Yeah, I think it was kind of natural evolution. You start to notice the sorts of projects that you get more of. The sort of projects that you do best at and get the best feedback for. And the things you enjoy the most. And also, what there’s more demand for. What other people aren’t doing. So, with the SEO copywriting, lots of people talk the talk but they can’t really walk the walk. Or they have a very light knowledge and learn a little bit about key words and that’s about it. So I saw there was an opportunity to kind of go deeper and not be an evil SEO person, but be kind of halfway between a copywriter and an SEO person. Yeah, it’s just been a natural progression, really. There was no kind of lightning rod moment. It just all kind of happened organically. You do so much and you’re really out there. I want to know where you’re spending most of your time, today. I think that would help give us some background. Kate: Yeah, I think it’s changed a lot in the last year. So if you’d asked me this question last year, it would be about, it was about 70% one on one clients, like copywriting clients and then about 30% everything else. And now, it’s probably flipped over so it’s about 80-90% the courses, the passive income, which is not really passive at all and the ongoing marketing that goes with that and about 10% clients. So it really has changed dramatically. Rob: I know exactly what you mean. Kate: Yeah, I don’t have rich parents or a rich husbands, so I needed to keep the income coming in while I grew the other thing and that meant a lot of sacrifices and it was tough. Now, I’m trying to kind of wind back a little bit. I’m actually trying to get back a bit more to copywriting and trying to keep my hand in because I think very quickly you forget the kind of concerns and insights and issues that copywriters have and I can’t serve my copywriting customers, my actual copywriters if I don’t understand where they’re hearts lay. Do you know what I mean? So I want to keep my hand in with that as well. Yeah about 80%, 20% if that makes sense? Rob: So there’s an obvious question here about how you balance it all? How do you make it work as mom, and an entrepreneur and you’ve written a book and you’ve created courses. How do you do it all? Kate: Look, I would love to say that it’s easy. And that I just spend five hours a day and it’s already chill. But the truth is, it has been stressful and at times, you know, other things that should be a priority aren’t, like looking after yourself and being healthy and having a life and friends and going to the movies. Stuff like that. I’ve had, honestly and this is, it’s odd that we’re having this podcast today because this week has been a bit of an epiphany week for me. And, you know, I do have a little boy and I do always make time for him so I’m there at school pick up and drop off and I don’t work at the weekends but I cram a lot in. And I think that is the thing. I do not fanny about. I hope I can say fanny. It means something different in your world, I think. So, it’s just hard work, organization and beating myself with a stick, I think. That’s pretty much it. Kira: So I like to focus on the breakdown because I feel like I can relate to what you’re saying and I’m in kind of that challenging part where you’re trying to move into this new revenue channels and creating. Kira: But then I’m also juggling a lot of client work and I know a lot of copywriters are in that space where it’s tough. So you said you were in it, you were juggling and then it didn’t, I forget your wording, but it was not a pleasant time. How did you pull yourself out of it? I think that’s the hard part. Because how much time, how long do we need to be in this hard time before we can pull ourselves out? Kate: Yeah, it is hard and I think there does come a point where you have to say, “look, this month or this couple of months, I have to accept that I’m not going to earn my regular salary. Maybe this month, I’m going to be happy to earn a bit less so I can just fully focus on my projects. I’m going to have to let some of my clients go. And one obvious thing there is you can always refer your clients to other copywriters and take maybe a small referral fee, you’ve done all the marketing to win that client, you’ve worked with them and you’re handing them off. The other copywriter will be more than happy to pay a small referral fee, which then becomes a source of passive income for you as well. I made a lot of different things so I made some small things which sell every day and so it’s a little bit of income like small templates and you know, mini courses that aren’t huge money but it’s a little bit of trickle money every day while I focused on my huge monster, which is the money maker, the big beast. And again, that was a slow burn as well. I didn’t make millions, all these people who say, “Oh, I had a seven-fugure, big ecourse launch today.” There’s no proof of it and there’s no breakdown of profit versus revenue. Don’t believe the hype, you know. It is hard and I think you have to get to the point where you maybe, maybe you’re making $100,000 as a copywriter. And maybe you have to take a period where you’re only going to make $50,000 for a year as an entrepreneur, gosh I loathe that word, in the hope you that you will get back up again to the $100,000. But I would also say, and this is my cautionary tale, just because this whole passive income thing looks great, and it looks like, “Wow, wouldn’t it be awesome to be selling things and having courses.” I’m not sure it’s any better than just being a regular copywriter with great clients who like what you do. I’m not sure it’s better! I think it’s just different, you know. Rob: Yeah, can we dig into that a little bit more? You mentioned earlier that passive income isn’t really passive. We’ve talked to a few people who’ve built courses or were in the process of building courses and I can imagine there’s a lot of work that goes into the front end but once the course is done, there’s got to be a lot of work that goes into constantly promoting and launching and relaunching. Tell us about that whole experience for you, even if you would, how the money flow has changed from the beginning as you’ve sort of grown your courses’ business. Kate: With the Clever Copywriting School, so I set up that years ago but I didn’t really do anything with it. I imagined at first it would be like a commune and copywriters would all contribute but no one else ever did anything so it kind of different evolve and I just put some templates up in the shop and they sold, if they sold. That was always my attitude at the Clever Copywriting School. It was like, I’m not going to put huge amounts of energy in. Anything that comes out of that is a bonus. And that is kind of pure passive income, because I make a template, I make it really great and then I sell it and it doesn’t really ever need to change. Because press releases aren’t going to change much in the next ten years. Press release is a press release. That is the real passive income. Now with Clever Copywriting School there’s a membership where you can join part of a community and that is really cheap because copywriters don’t have any money. Obviously what you need to do to make that membership work, is you need to be in there every day, providing advice, giving tips, sharing articles. Not for eight hours, but you need to be involved and if you’re not, it shows. It really shows. I’m sure you’ve been part of membership communities where you never see hide nor hair of the person who actually lured you in. It’s quite clear it’s some 21 year old social media marketing manager who’s just doing everything, no other person. Yeah, and that’s just not my vibe at all. I do like it to be me. So that again, it’s a lot of effort but with those guys, if I’m, if I make something, they’re pretty much happy to buy it. It’s just I don’t have time to make enough stuff for them. With the big course, “The Recipe for SEO Success”, that is a beast. Looking back, everyone said to me, “Don’t do an SEO course because it changes all the time.” So if you write a copywriting essentials course, how to use commas, it’s never going to use commas in a similar way. But SEO changes all the time, so every year I have to update all the materials and make sure they’re in line with current trends because it’s a living, breathing beast. And I also offer coaching with that course, while it runs and as you said, I have to launch it, which is quite draining. But financially, you know, so you know, the Copywriting School, it’s still a small percentage of my income. It’s never going to set the world on fire. With the Recipe course, the first year I hit my six figures, which in Australian terms is like $100,000. I’m not sure what that is in American money. But obviously there was expense and who knows how much time I invested in building it. Now, obviously it’s a lot less. I do update the materials. I’m an over updater. I care too much. So like people are like, “It’s fine. Leave it. Step away.” And I’m like, “I’m just going to .. I’m just going to change every graphic in the site to this slightly different shade of red.” No, and they’re like, “Kate, step away!” You know, I’m my own worst enemy. And you do that through podcasts and Facebook and videos and bah, bah, bah, bah. It’s a lot. So, yeah, that’s why I’m at the moment, I’m kind of I’ve done it all, it’s all done, it’s all out there. I’m winding back a little bit just because I don’t want to keep working at this level any more. I want to go back to being chill. And let me say, I do not work like 80 hour weeks, but it’s just I would like to only work four days a week. You know, because I want to learn to paddle board and cook and things like that. It’s all about lifestyle choice and age and stuff like that, as well, I think. Kate: People do apparently, I don’t know. Kira: I have had that thought recently of just, I think I have been really focused on go, go, go, go like all of us and we’re all like competitive, ambitious people and I think I’m going out of that stage, at least I have been, recently where I’m like, “You know, it might be nice to actually go to Yoga or have a life or go to a girls’ night and hang out with my friends who I haven’t seen in forever.” And so I think there’s this change and you’re talking about the same thing. That’s why I was just sitting here like, “Oh my goodness” I don’t even know if this is a question. I think I just want you to be my coach and tell me what to do with my life. Can we make this transition and have a life? Do we have to sacrifice our life in order to build the membership and build the course and have the … like is there a way to do this? Kate: I mean, look I think unless, I honestly don’t think there is. That’s my [crosstalk 00:22:34] Especially if you have small children as well. I mean, I was, look if I’d done all of this when I was 25, it would be a different story but I was an idiot when I was 25 or I wouldn’t have even, I was worried about boys and what outfit I was going to wear and drinking and you know, I didn’t have the confidence or the intelligence to do what I do now. But obviously now, I’m tired, I’ve got lots of responsibilities and I think a lot of it is kind of going, you can’t keep up with the Jones’. I compare myself with the most ridiculous people. Like I compare myself with Rand Fishkin and go, well Rand Fishkin makes [inaudible 00:23:09] every Friday. Rand Fishkin is a billionaire. He has a team of hundreds of people working for him. He doesn’t make, he just turns up with his mustache wax and makes that video. He doesn’t edit it, he doesn’t put it on YouTube, he doesn’t write the copy, he doesn’t do the, you know, you guys know putting a podcast together. People are like, “Oh a podcast would be great.” And then you do one and then you’re like, “It is so much work.” You know, scheduling the guests, editing the audio, putting it up, putting the graphics, making the little video, ahhh! So I think comparison is really important. So comparing yourself with the right people. And also, I used to schedule my calendar around all the work things I had to do. I had little different colors for every different thing in my calendar, like this is podcast time, this is this time. Now, what I do is I take all my work stuff out, and I schedule all the things I want to do in my calendar. Kate: Yeah, so I … obviously, if I’ve got an actual appointment, I’ll put it in. But I used to schedule like work zones, to try and get … now I’m like, this is family time. This is when I’m going here. This is when I’m going to finish early and have a massage. Now, I’m not there yet. I only used to work three days a week, then my son went to school, now I work five days a week, but short days. And I want to get back to working four days a week. So I’m moving towards a nine day fortnight. Rob: Enough talk about how hard copywriting is. Let’s talk about something easy, SEO. Rob: Yeah, of course. So Kate, you’re obviously an expert at SEO, if I try to find the best copywriter in Australia, I believe your name comes up at the top of the list. What should copywriters know about writing for SEO and what can we do, what can I do if I want to be the best copywriter in America, or at least I want that to come up on top of Google, what things should I be doing in order to do that? Besides taking your course? Kate: Of course, take my course. That’s the main priority and that’s my only advice. Now, I think you need to move away from just thinking about SEO copywriting as copywriting because there’s a lot more at play and you know, clients will come to you and say, “Hey, we want some great SEO copy for our site and maybe you know a little bit about keyword research and a little bit about writing SEO friendly copy, but if their site is technically flawed, you can write all the copy that you want and it will have no impact on their ranking. So I think you have to embrace a bit of the technical stuff. You need to understand things about speed and responsiveness, crawlability. You know you have to educate yourself on that so you can educate your clients. There’s obviously huge amounts of resources out there and that can be overwhelming and I think that can actually stop people from learning. So I think it’s really about finding one or two sources of truth and only reading their articles because otherwise it’s just too much to read. So I’ve mentioned Rand Fishkin, who’s kind of the spokesperson from Moz so I follow him and another guy, Neil Patel, who runs a website called Quick Sprout. His posts are horrifically long, so I kind of skim read them and just try and pick up one or two things. So I think it’s just educating, like putting aside a little time a week to sort of spend an hour learning about SEO copywriting. Rob: Yeah, you just gave away your secret. Kate: Well, this is it and I give away all my secrets. I’ve got about 150 copywriters who’ve done my SEO course and they’re now starting to outrank me. Yesterday, someone, one of my students outranked me for legal copywriter, just the phrase, “legal copywriter in Australia”, which I’ve always had. I’m not actually that good of a legal copywriter but it, you now, it was mine. I actually don’t care because I was so pleased that she’d taken the information from the course and used it and outranked me, you know. You just need to think about user intent, think about what people want. Go beyond the obvious, someone might type in “copywriter Cincinnati” but really the conversion, the money comes from phrases like “financial services writer in Ipswich”. Do you know what I mean? It’s the long tale phrases. That person is so far down the conversion path, they know exactly what they want, when they reach your page, give them what they want … they’ll convert. And you only need one or two of those a month to maybe hit your financial goals, you know. So think of it quite coldly and scientifically. Think about user intent and then really make sure that when they get to your services pages on your site, the content there is great. It’s not just generic, “I am a legal copywriter and I write legal copy.” It’s like, “Legal copywriting needs to be this, this, this and this. Some of the things that, issues you might have are this and this. And this is how I can help and this is the advantage I’m going to give you and here’s a testimonial and here’s a video and here are three samples.” That’s a good services page, you know. I see so many copywriter websites where you could change the logo at the top of the page and it could be anybody’s website. So, I think you’ve really got to dig a bit deeper. Kira: I think I need your course as you’re reciting all those, I’m like, “I need to brush up on SEO. That’s not my strong suit.” But clearly we need to be aware of it and know about it. So, I’m going to pivot. Again, like we said, you’re in a lot of places, you have your podcast, you have a YouTube channel, you have social media channels, you speak on the stage, you run conferences, you’ve pursued multiple marketing channels and so, from your perspective right now, where do you see the opportunity for copywriters to really show up? Is there one or two channels that works really well for copywriters today? Kate: Look, I still think guest posting on other websites, like business websites and magazines and digital magazines is a great place to show your writing skills. You know, I’ve had a lot of clients come from relationships where I’ve tried, you know, so if you can become a columnist or a regular contributor to something, either in your local area or something a bit more larger scale, I do think that really helps. Because obviously you’re showing what you do. The other thing I think and this does not sit well with many of the copywriters in my group, they all go, “uhhh” is video. Because obviously a lot of us copywriters are quite introverted and we don’t necessarily like showing our face or being on camera or being out there because that’s one of the reasons we became a copywriter so we could hide in our pajamas behind our computer. But, you know, a couple of well produced videos just talking, introducing who you are, explaining your services, really just help people connect with you because you’re really just, there are millions of copywriters and it’s fine because there are millions of copywriting jobs. But you just need to differentiate yourself a little bit. And I’m not talking about necessarily niching like being the only copywriter that writes about organic soup, but I mean, just why do I want to work with you rather than this other person. And I think people choose … copywriting is a very intimate relationship so they do want to like you. They do want to feel understood and reassured and comfortable with you and video is a great way of starting that relationship. Because I think, you know, a lot of copywriting courses and books and whatever talk so much about where to put your colon and how to write great conversion copywriting. It’s all important, don’t get me wrong. But the reason I’ve been successful is not because of that. It’s because I’ve formed great relationships with my clients. I’m actually rubbish at grammar and I don’t know much about conversion copywriting but I do know about building good relationships and video, I think, is a great way of starting that. Rob: I think you just completed a writing conference? Talk to us a little bit about how you see our role there. Is it really all about teaching? Or is this also about growing your influence? What is it that makes you want to get into these other businesses? So I’m really trying to not do that anymore. Like not promise things because I am somebody who feels I have to then follow through on the promise. So the copywriting conference was literally, like, “That would be fun, wouldn’t it? I’d like to do that. I didn’t have a big wedding so maybe this could be like planning my big wedding and then I could have a venue and lots of [inaudible 00:32:22]” but no, I mean my courses and my teaching, they’re not focused so much on the art of copywriting. They’re much more focused on the business side and on the confidence and the more abstract parts of being a copywriter: relationship building, pricing, all that kind of stuff. The conference has been a huge amount of work and I’m not necessarily saying I’ll never do it again, you know it was an interesting experiment. I may do it again. I think for a long time it has been about building up my authority and my influence. Why did I do that? Probably just to tickle my ego, maybe? A little bit? We all have one. But I do enjoy helping people as well and you know, as I’ve become more known where I am, you see the challenges of that as well. It’s not all great. A lot of it is lovely, a day doesn’t go past where I don’t get an email from someone saying, “Thank you for this or thank you for that.” And that’s amazing. Kira: Kate, I was actually going to ask you, this is sort of a cliché question but I love this question. If you could go back to the beginning of your freelance copywriting career, not necessarily the ad agency career, what advice would you give yourself at this point? Kate: I would give myself the advice not to live next door to somebody with crazy dogs, which I hope you can’t hear in the background. Kate: Sorry about that. It’s all real, people, this is all real. I think it would definitely be not to compare myself to others. If there’s one thing that has kind of scuppered me along the way, it has been that comparison trap. If you know picking somebody who’s at the top of the Google rankings, who’s been doing it for 10 years going, I’m not as good as them. And it’s like, “Of course you blooming not. What are you talking about?” That’s been a lot, taken me a long time to learn that lesson. I’m still learning that lesson. So I think you know, you’re starting out, just build slowly. Don’t compare yourself to everyone else. Yes, befriend other copywriters but you know, it’s very Oprah Winfrey, but you know, run your own race. Put your blinkers on. Focus on servicing your clients and doing the best job you can and it will all evolve naturally if you just work hard and get yourself out there a little bit. You don’t need to be standing up on stage after one week. Just, it will all evolve, you know, take your time. Rob: Kate, you mentioned taking a step back this year, trying to be present, I guess, in the choices that you make and the things that you do. What do you do to recharge your batteries and improve your skill set? Kate: At the moment, I just watch Netflix which is not enough, so I need to do more of that. So I’ve been watching “Crazy Ex Girlfriend” a lot. Even though I’ve already watched it. I do kind of really mundane stuff. I like to garden, I like to cook, I like to walk my dog on the beach, we live quite close to the beach. I like to do stuff with my son, so just normal, you know, human-y things I want to do more of. And that really does recharge me. I want to read more. I listen to a lot of podcasts. But I don’t listen to business podcasts because they get my brain ticking and that’s the last thing I want. So … I love “This American Life”. I’m having an imaginary affair with Ira Glass, I love his voice. I listen to a lot of those and a lot of British comedy podcasts as well. And in terms of it improving my learning, you know what? I’m at the point now, for the next year, I actually don’t want to learn anything new. That sounds really bad. I just want to let everything I know in me, sort of settle a bit. Because I feel sometimes we’re so busy consuming new information that we’re not actually … I want to feel more comfortable with what I already know. I don’t want to be an expert at this latest social media platform or learn this new technique. I want to be better at the things I already know. So, I’m having a year off reading blog posts and articles and eBooks and I just want to relax for the next year and just keep it, keep on keeping on. And not build anything new. Kira: Okay. I feel like I really needed to be a part of this interview just to hear you talk about this phase and this change and how it’s okay and this is great and this is a natural transition for you. And so before we wrap, I would like to ask you about your hula hooping expertise because that’s something that’s quite intriguing. Like, I’d like to see you hula hoop sometime soon. Kate: It would not be pretty, that was just a silly thing that I was trying to do my Linked-In profile and everybody had three things. It was like, “I’m an entrepreneur, this and a hedge fund manager.” It was always three things, you know, the power of three. We know that that is a powerful thing in copywriting. So I’m a copywriter, an SEO lover and I just couldn’t think of anything, so I just wrote hula hooper. And since then it has dogged me because I’m actually a terrible hula hooper. I can’t keep it up. And people, I’ve even had, I had from the Sydney Morning Herald, which is a big newspaper over here, contact me because they were doing a feature on hula hoopers and did I want to be in the feature? And I had to admit I actually can’t hula hoop and it as all a lie so don’t believe everything you read, people. False advertising. False advertising. Rob: Yeah, I feel like my worldview has been shattered. Kate: I was a gibbon keeper, that is true. Kate: And I was a chat line operator and you can read all about that in my new book. There, I did it! I got my thing in. Whoo hoo! Rob: And I was just going to ask you, Kate, where can we find you on line and tell us where we can get your book? Kate: Oh, well luckily I’m quite good at SEO, so if you just type in “Kate Toon”, something about me should come up and my hub site is www.katetoon.com. You can find my book there. Kira: Can you just give us a quick overview of your book so we know what to expect? Kate: It’s basically this podcast spread over 171 pages. Rob: Again, you’re shattering my worldview. Kate: Do you have aggressively white teeth? I’m going to go and Google your face now and see what you look like. All Americans do. All Americans have wonderful teeth. Rob: I have a face for podcasting, unfortunately. Kira: No you do not, Rob. No you do not. Rob: Kate, this has been an awesome interview. Thank you so much for giving us so much of your time and getting up early to chat with us. We really appreciate it. Kate: It’s been wonderful and I’d love to have you back on the Hot Copy Podcast soon, too. So we can do a swap. 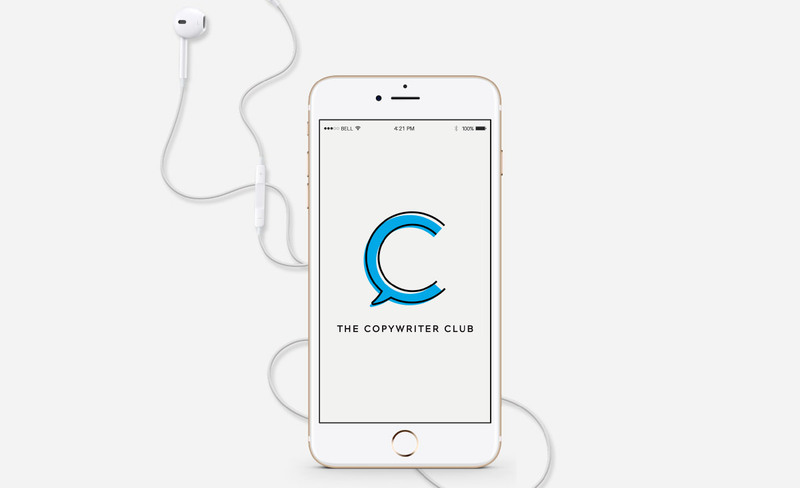 And because you are my second favorite copywriting podcast as well. Rob: It’s a deal. Let’s make it happen. Before we end the podcast, we just want to tell you about our sponsor, Airstory. Airstory is an application designed to help you write faster and it does a few things really well. It makes collaborating with others on your team easier. So if you work with clients or other team members on projects, you’ll love the way that you can interact within your project documents. Another great interview with new guest speaker, Kate Toon. Each week I anxiously wait to hear who the new guest speaker is and hear his/her background. Everyone always has a great story.s to tell on how they have reached their accomplishments with great advice. Even yesterday I was anxiously waiting for the new interview that I went back on past weeks and listened to another of your interviews. This one with Ryan Schwartz. Another outstanding interview. Thanks again, Kira and Rob.